A few days later, in stark contradiction to this rhetoric, the Trump administration tacitly supported Iranian-led militias, working with the Iraqi army, as they occupied Kirkuk following the overwhelming vote for Kurdish independence. The Iraqi army, with its US-supplied tanks and weapons, accompanied by the notorious Popular Mobilisation Forces (PMF) - a vast conglomeration of Shia militias ostensibly set up to fight the Islamic State group - rolled into Kirkuk with little opposition from the Kurdish Peshmerga. The US' rhetorical response to this has evolved from neutrality to a mixture of denial and explicit support for Baghdad's forces. 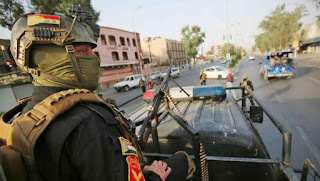 At first, they parroted the semantics of Iraqi Prime Minister Haidar al-Abadi, claiming that the takeover by the pro-Iraqi forces were not "attacks" on the city at all, but rather "coordinated movements". This was followed by President Trump reacting to the few clashes that took place between PMFs and Peshmerga, limply claiming "we're not taking sides". Eventually, the US dispensed with its feeble smokescreen of "neutrality" to declare its wholehearted support for the takeover, with the US embassy in Baghdad saying they "support the peaceful reassertion of federal authority, consistent with the Iraqi constitution, in all disputed areas". One must understand that while the description above of the takeover as "the reassertion of federal authority" on Kirkuk is technically correct, something more was at play. To paraphrase an old Arabic joke, the hand of the Iranian regime wasn't so much hidden here as it was brazenly visible. It ought to be no secret that the PMF - the militias upon which the Iraqi state relies for its security - are ruled by forces whose primary loyalty lies with the Supreme Leader of the Islamic Republic of Iran. Moreover, one of the key figures in the takeover of Kirkuk was Qassem Soleimani, the leader of the Iranian Revolutionary Guard Corps' notorious "Quds Force", the vanguard of Iran's regional expansionist policy. It's Soleimani who has been leading Iran's brutal intervention in Syria, where just last year he was openly surveying the freshly "cleansed" East Aleppo, which had been conquered by the Shia militias, led by himself and his Quds Force, and which include many of the same militias that are part of the PMF in Iraq. The presence of the PMF in Kirkuk was not essential - it was a very deliberate show of force by the Iranian regime, as it now openly coordinates Iraq's security and flexes its muscles against those who were close US allies. As its militias consolidate power on the ground, members of its proxy forces hold key positions in the Iraqi government, such as the interior minister Mohamed al-Ghabban, who is also a leading member of the viciously sectarian Badr Organisation, which was created by the IRGC in the 1980s. It's widely believed that the rapid retreat of the Peshmerga in Kirkuk was the result of a deal between the Iraqi government and the Patriotic Union of Kurdistan (PUK), one of the main rivals to the Kurdistan Democratic Party of Masoud Barzani, the incumbent president of the Kurdistan Regional Government (KRG). The deal was allegedly brokered by none other than Qassam Soleimani. One might then think, given Trump's commitment to "get tough" on Iran, and his new round of sanctions on the IRGC, as well as the fact that Iraqi Kurds have been the US' major allies historically and currently, that US policy is "incoherent". In terms of the bigger picture, this might be true - but if it is incoherent, it is certainly not inconsistent. It has often been noted by analysts, experts and politicians that Iran was the primary benefactor of the Iraq war, but the reality of what this meant in terms of US policy regarding the ever-more Iran-controlled Iraqi state, is rarely discussed openly. US policy in post-invasion Iraq could be described as one of uneasy but workable mutual coexistence with Iran - the current Iraqi state ought to be considered as one that is supervised by a balance of US and Iranian power. Contrary to popular belief, during the Iraqi civil war phase of the US occupation, Iran-backed forces fought on the same side as the US and the central government it had installed. The main Shia protagonists to the US occupation regime in Iraq were not Iran-aligned forces, but rather Shia Islamists of the Iraqi nationalist variety, such as Muqtada al-Sadr's Mahdi Army. While the US has obviously enjoyed close relations with the ruling Islamic Dawa Party and the wider State of Law Coalition, it must live with the reality that this broad Shia Islamist coalition is naturally allied with Iran, or, as has been noted, its component forces are often open proxies of Iranian power. Iran, as a not just geographically but religiously and culturally proximate power to Iraq, would of course assert its interests over the country. Even those within the State of Law Coalition who might oppose Iranian hegemony realise - as the US does - that any resistance would simply result in Iran using its proxies to destabilise the country. But "de-stabilisation" is something that cannot be controlled. In recent years, both the US and Iran have contributed to the hurricane of instability that blew over Iraq by working against any attempts by Iraqis beyond the State of Law Coalition to assert autonomy and proper self-determination. It is an oversimplification to say that the US invaded Iraq merely for oil, but a major calculation behind the war was what was referred to as "energy security" - allowing global corporations to gain new access to Iraq's previously nationalised oil industry. For Iran, its interests lie primarily in ensuring its status as a regional superpower, with Iraq being a fundamental part of its ability to act in the region, whether that's launching its genocidal intervention on behalf of Assad, or using its position in Iraq as a bargaining chip with the US. An independent, majority-Sunni Kurdistan in Iraq would be more than a thorn in the side of Iran's "Shia crescent", as well as empowering Kurdish separatists within Iran. It's of absolutely no surprise then that Kirkuk, which is home to six percent of Iraq's vast oil reserves, is ground zero of the latest US-Iranian plan to end the prospects of further self-determination for Iraqi Kurds. It was precisely the same in 2010, when both the US and Iran supported the sectarian regime of Nouri al-Maliki subverting democracy by holding on to power after losing the election to the anti-sectarian Iraqiya political movement. Following this, Maliki made a string of further sectarian power grabs, such as arresting or forcing Sunni opponents into exile, or alienating and persecuting the Sunni Awakening forces that had fought and defeated the forces that would later become IS. During all of this, the then vice-president Joe Biden referred to Maliki as "our man", despite the fact his rule was to some extent orchestrated and underpinned by Iran. When mostly Iraqi Sunnis revolted against the simultaneous imposition of centralised sectarianism and the denial of their constitutional right to regional autonomy, the US and Iran backed Maliki's brutal crushing of protests. The US, as slippery as ever, swiftly changed tack and tried to say that Maliki was the problem, but under Abadi, also supposedly "their guy", Iran's grip on the country has tightened, often with at the very least tacit US support. This is not because the US secretly supports Iran, but rather because it knows that Iran's power on the ground cannot be matched and that, compared to the alternatives, Iranian hegemony is tolerable if its own interests are maintained. But the US and Iran, regardless of their very real and potentially combustive differences, both favour "order" in Iraq, but "order" when it means supporting brutal sectarianism and curtailing democratic self-determination, is an illusion. It was out of the US and Iranian-supported "order" that IS returned to the scene and were able to sweep through the north with ease. It's claimed that IS is being defeated, but the "liberation" itself has been one determined by gross brutality from not just Iraqi force but the US-led coalition, as well as sectarian collective punishment. Now we see more than 100,000 Kurds displaced as PMF commanders boast that the multi-ethnic city of Kirkuk "will never be Kurdish". 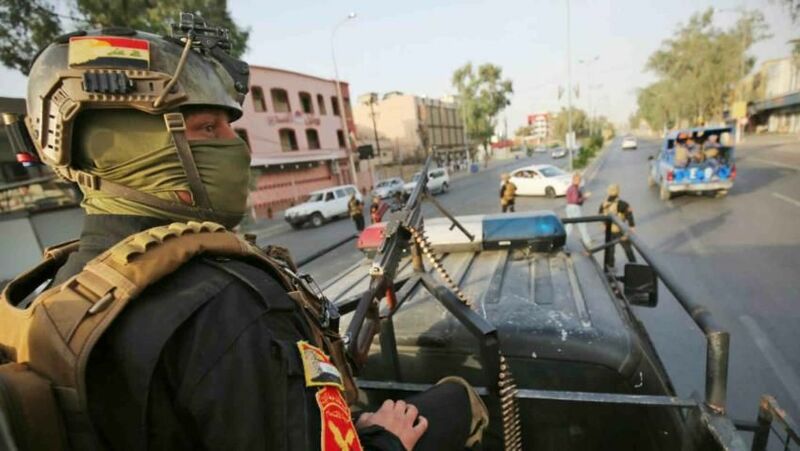 IS may be currently dying as a state-military force, but the aftermath of its demise - the fall of Kirkuk and the crushing of self-determination - is yet more proof that the logic that produced it are still very much alive.